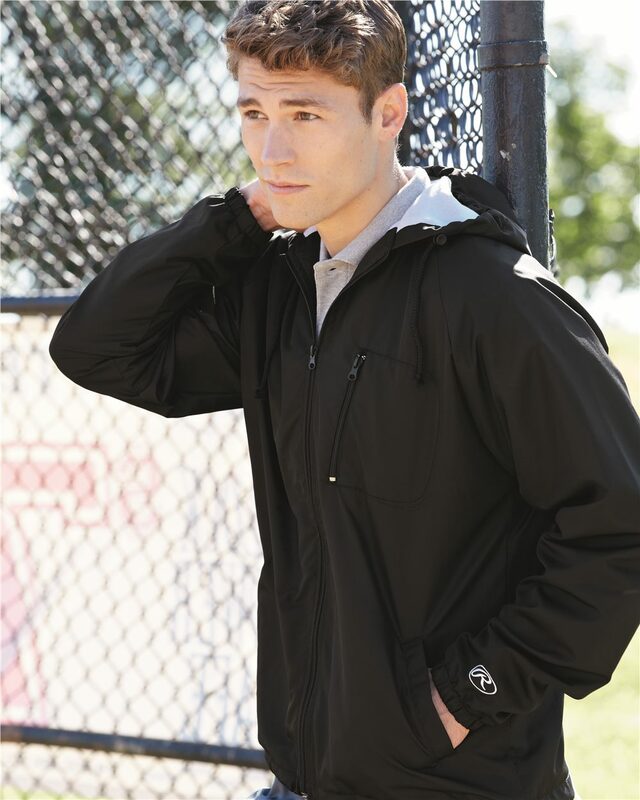 Rawlings - Hooded Full-Zip Wind Jacket (9728) 100% nylon taffeta shell. 100% polyester lining. Side pockets and one horizontal left chest pocket. Barrel toggle waist and drawcord hood. Elastic cuffs. Rawlings logo on cuff.